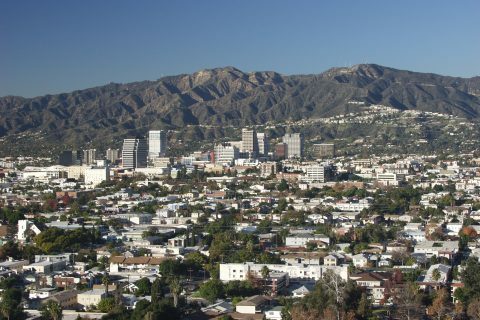 Cinema Systems’ roots begin from the beautiful city of Glendale, CA. We started off providing TV repair service in the San Fernando valley over 35 years ago. Being a resident, we feel like we’re the most complete Glendale home theater installation service out there. As technology advanced, our business expanded to keep up with the latest demands of customers. Today, we specialize in building out custom home theaters and media rooms, integrate and implement home automation. And yes, we still do repairs for TV, audio, and video. We have performed commercial installation work for the Bank of America Financial Center in the heart of Glendale, near Brand and Lexington. We have serviced many homes near Verdugo Mountains above Glenoaks, providing Glendale home theater installation and other services, e.g. surround sound, home networking and automation. One of the more popular requests we have been getting in the area is home automation. With technology advances in smart homes, IoT (Internet of Things), we are seeing a sharp increase of service demand. Some examples of this includes integration of video surveillance security systems to smart phones, Wi-Fi enabled smart thermostats, and etc. Glendale is one of the safest cities in Southern California, but that doesn’t mean people are not investing in surveillance systems. A lot of them are, and we have been busy installing custom systems for many residential homes. Lastly, our dedication to service and professionalism stems from the TV repair service. Technology is great, but it does need to be maintained and serviced from time to time. We still get a good number of requests for TV/video/audio repair service. We’re experts and generally can come up with a solution for any issues or problems. If you have any questions about home theater installations, home automation integration for some of the examples discussed above, please don’t hesitate to contact us. We hope to service your home very soon!